SIMPSONS SUPER SPECTACULAR #6: Fallout Boy as Fall Out Boy! The rock band Fall Out Boy named themselves after Fallout Boy from "The Simpsons." 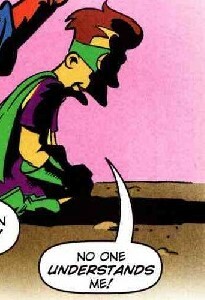 An issue of SIMPSONS SUPER SPECTACULAR does a little "recursive adaptation" or something with that. The Simpsons - Cthulhu? Gesundheit! 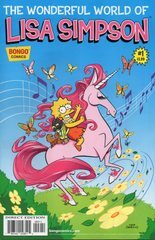 THE SIMPSONS #76: Do the Bard, man! 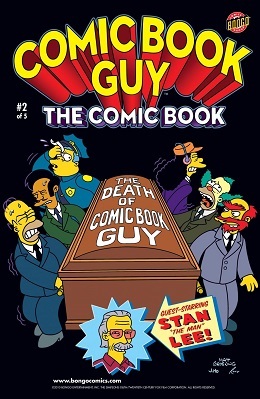 THE SIMPSONS #76 was a look at the Simpsons doing some of Shakespeare's works. Itchy and Scratchy get "Titus Andronicus." Be warned: it is gory even for Itchy and Scratchy. A #1 for the new year! Imageshack has had a major redesign since the last time I signed in, so if anything goes wrong, please bear with me. 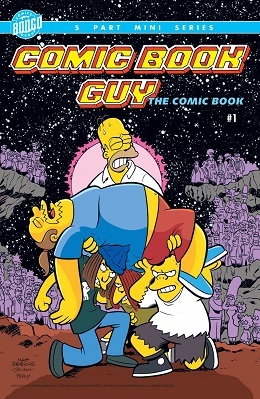 While the show itself may have become something of a zombie franchise, it's always fun to look at the Simpsons comic books. Here's the latest issue focusing on Lisa. I'm posting three pages of ten from the lead story, "The Pyramids of Lisa" . Okay. Halloween is going to end in a few minutes, so I might as well find a way to end it... with the Simpsons. Something to hold you till they air the Treehouse of Horror this year. Simpsons Comics #159: "Big Monty"
My first Dreamwidth post. Huzzah. 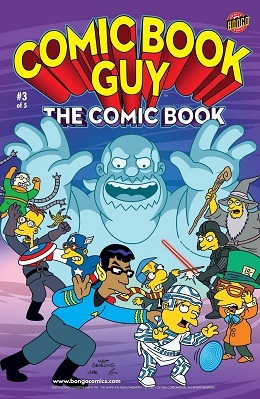 This month, the Simpsons comic universe experiences the first crossover to span all three Simpson titles since "When Bongos Collide!" 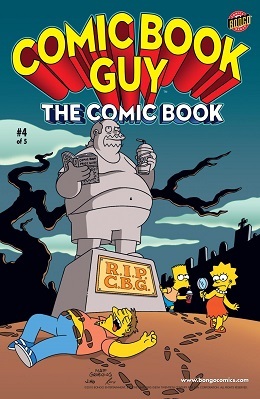 Something big is in store for Radioactive Man, and as we all know, where Radioactive Man goes, comic parodies follow! Since this is a brand-new issue, I've adhered to the 4-page limit for recent comics.